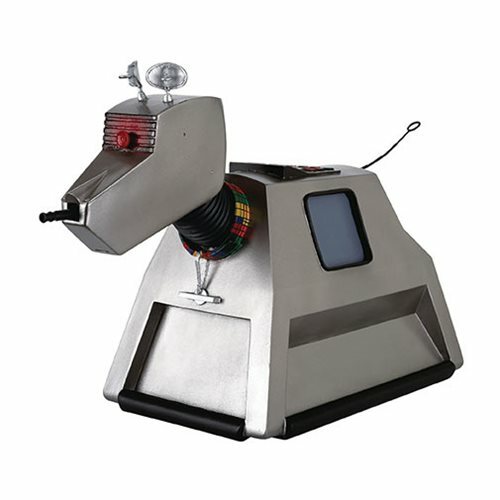 The next Mega Figurine in the Doctor Who FigurineCollection is the Doctor's loyal automaton, K-9! Thissuper-sized, 13" long version of the iconic computerizedcanine is hand-painted, highly detailed and a strictly limitededition. Each Polyresin pooch comes complete with adetailed magazine and a certificate of authenticity.